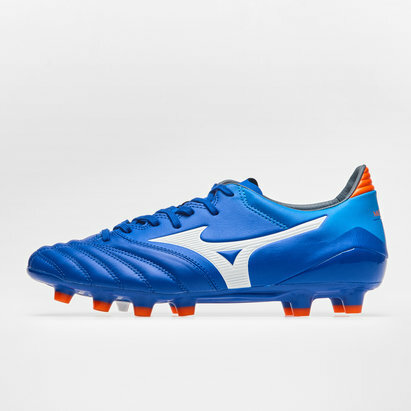 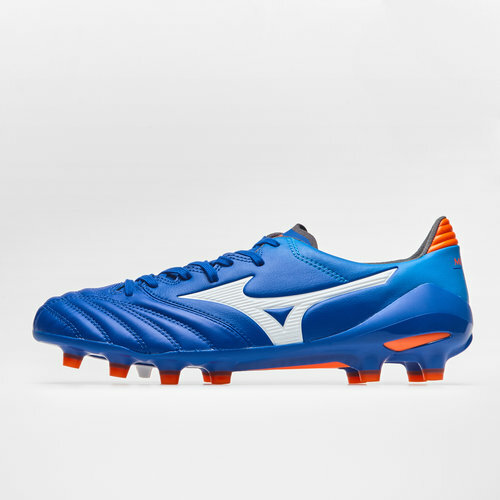 Granting players a boost in pace to make the most of their technical ability with style, lace up a pair of Mizuno Morelia Neo II MD FG Football Boots in a Reflex Blue, White and Orange Clown Fish colourway. 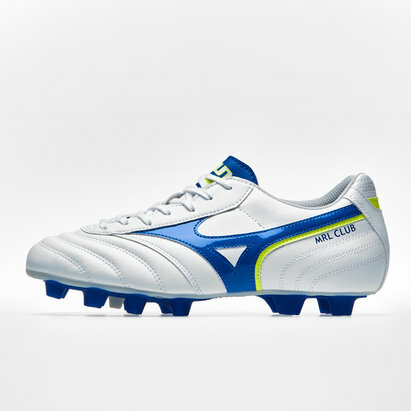 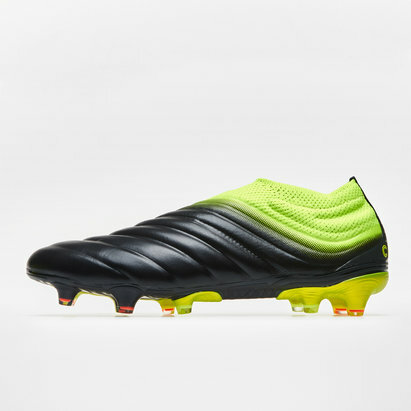 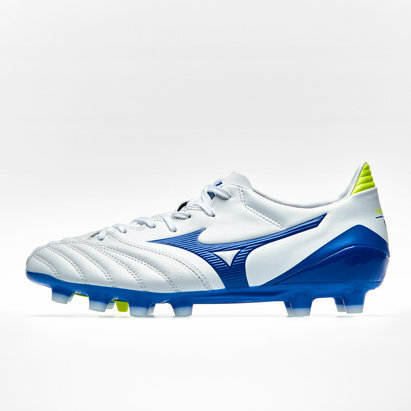 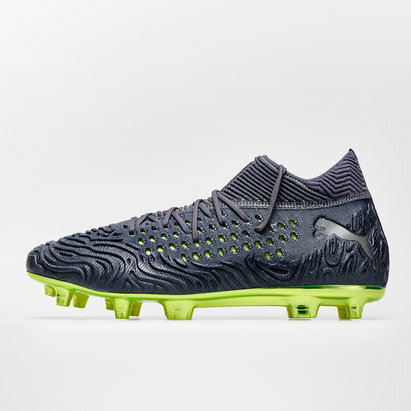 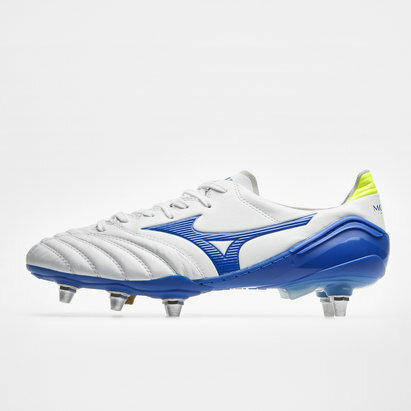 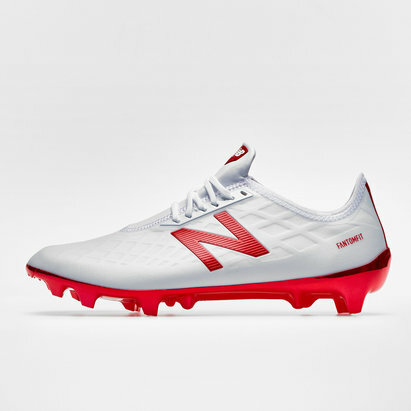 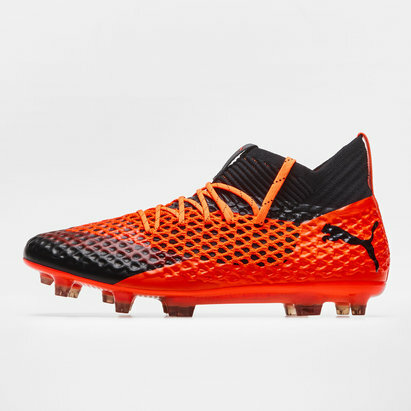 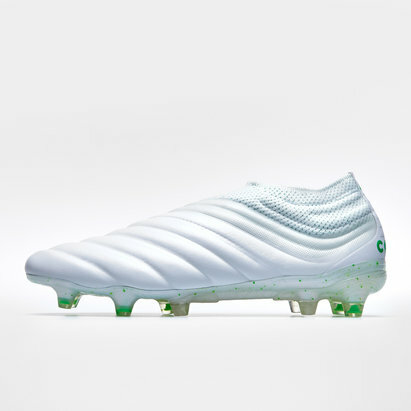 These quality Mizuno boots has been designed for fast and skillful players and come made from a soft and lightweight leather that provides a snug fit and an enhanced touch, completing a now retro look in the modern game. 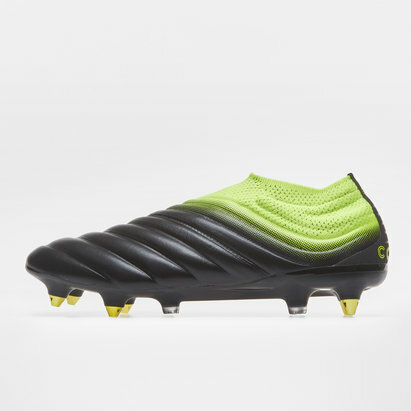 A flexible Pebax soleplate with specifically positioned PU moulded studs adapted for firm ground pitches provides solid traction and stability, also reducing pressure on the wearer's feet, whilst foot positioning is maintained thanks to a removable anatomically moulded sockliner and a firm external heel counter. 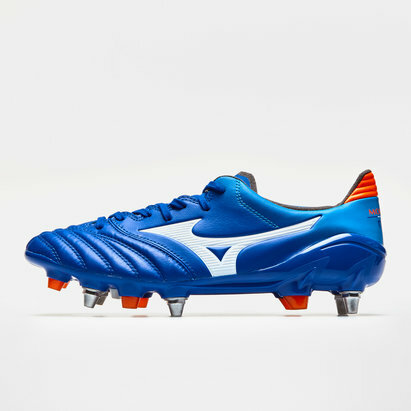 Lightweight, comfortable and flexible, if you're a pacy player looking for a quality no-nonsense boot then make sure not to miss out on the Mizuno Morelia II MD FG Rugby Boots.